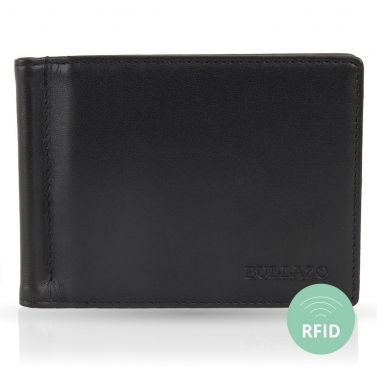 Known as the American wallet with a money clip, the mens wallet with moneyclip is becoming increasingly popular. The tightly seated, and at any time adjustable dollar clip makes it possible that banknotes can be pulled out not only from the front, but also from the middle and from behind without other banknotes slipping. 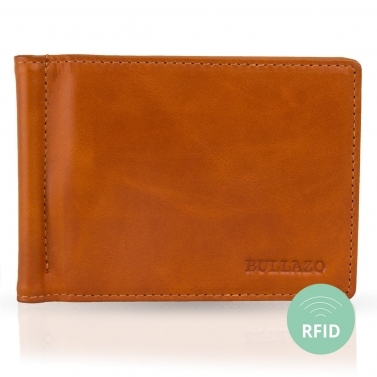 BULLAZO wallets with clips are also ideal for larger banknotes. If you are looking for a trendy, yet very classic and elegant purse without a coin pocket, this is the right choice. Why does today's man need a wallet without a coin compartment? In times of cashless payment we use less and less cash. Almost everywhere you can nowadays pay comfortably and easily - often even contactlessly - with credit card and EC card. Coins in the wallet no longer make this a contemporary accessory due to its weight and width. Savings are also made easier with a wallet without coin compartment. Many of our customers collect change and coins in their pockets during the day and store them in a glass or similar container. 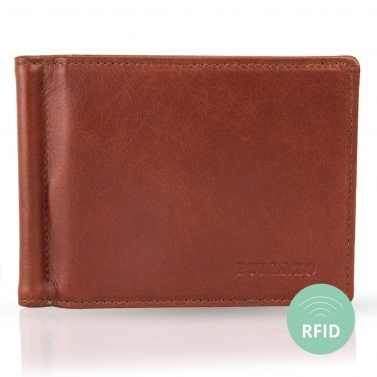 RFID protection in your wallet is becoming increasingly important today. All new credit cards will be equipped with RFID / NFC technology for contactless payment methods in the future. Such a chip cannot be deactivated and is - whether the technology is used or not - always available. A trend that brings many benefits. At the same time, caution is also called for: in future, theft will no longer take place by stealing money from the purse, but will increasingly take the form of data theft through unauthorized reading. 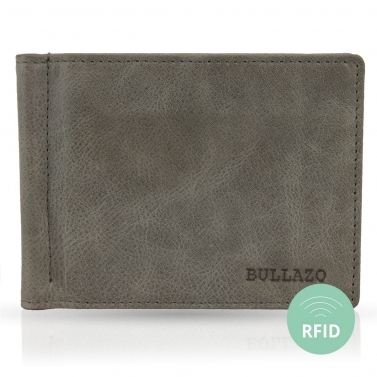 Therefore, all BULLAZO wallets and card cases are equipped with RFID protection.